If there’s one thing I love about Facebook it’s the images and pictures people share. 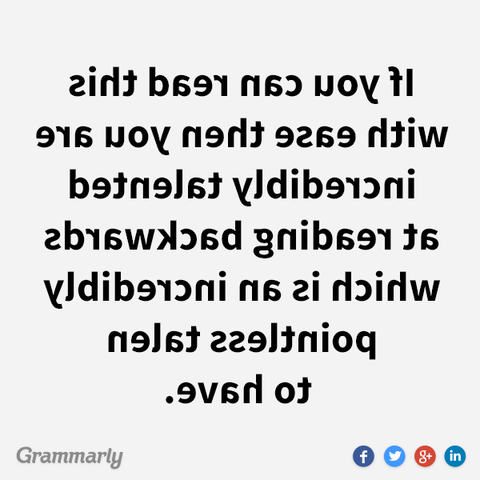 Not only is it interesting in the fact that you can test yourself as to whether you can read text backwards or not (which, incidentally, I can), but it’s also a howling blooper. Penultimate line – the ‘t’ is missing from ‘talent’. What’s your favourite Facebook share? Paste it in the comments section below so we can all enjoy it.